Sled dog racing is a century-old traditional winter sport, which is especially popular in Nothern Russia. For example, Ufa, the capital of Tatarstan Republic, hosted a sled dog racing festival "Snow races" in January 2013. 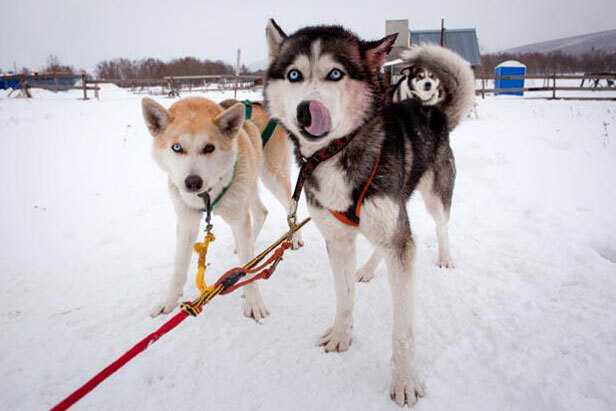 Sled dog racing is a century-old traditional winter sport, which is especially popular in Northern Russia. Today a sled racing lover doesn’t need to go to Kamchatka or Chukotka to enjoy the activity. Different kinds of competitions and shows are held in many Russian regions. For example, Ufa, the capital of the Bashkortostan Republic, hosted a sled dog racing festival "Snow races" in January 2013. Sled dog racing is a great winter sport and an unforgettable experience for its participants and watchers. Even dogs fidget impatiently waiting for a command to pull the sled ahead. Snow, sled pulled across the forest, high speed and u-turns... It’s all about excitement and combat spirit.